Forts Race - great weekend of catamaran sailing at WYC! Wow, what a great weekend for the Forts Race this year! Perfect conditions (NE F4) made for some excellent sailing and really close racing. Saturday saw 25 entrants into the main event, 13 of which were visiting boats. The main course took on four legs: Out to the Red Sands Forts and back; Out to the Vattenfall Wind Farm and back; Along the coast to Herne Bay Pier and back; and finally out to Spile Buoy and back to Whitstable Yacht Club. The Short Course just did the first two legs (still an epic 36 miles!). 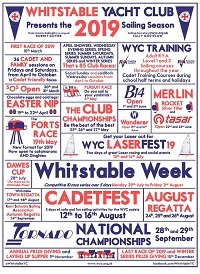 Full results will be posted to the website shortly, but Grant Piggott and Simon Farren from Weston Sailing Club sailing an F18 took the overall prize, as well as the Dewhirst Cup (for the Forts leg) and the Vattenfall prize for the Wind Farm leg. First placed Whitstable boat was sailed by Ghislain Melaine and Greg Crease. The winner of the Short Course Race was Robert Govier and Ruta Nakrosyte on a Dart 18. 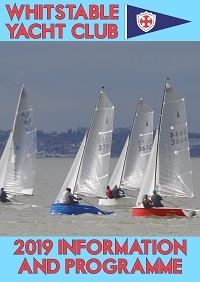 On Sunday an single race was sailed off Whitstable, which was won by Grant Piggott and Simon Farren. Thanks to all of the volunteers who made this event happen, including the Race Officer Jon Silk, Assistant Race Officer John Cooper, Recording and Results by Jill Fagg, Andrea Oliver and Coral France, Land Bridge by John and Frances Mulhall, all the Safety Drivers and Crew, and many more!